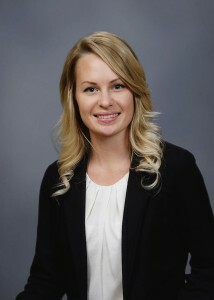 Jenn began working at Jamal Family Law in early 2014 as a legal assistant and office administrator. She assists with preparing documents, handles the opening, maintenance, and closing of all files and is responsible for accounting and the day to day management of the firm. Throughout their case, Jenn will stay in touch with the client, in general, to keep them informed of ongoing status. Jennifer’s friendly personality and easy going manner is often the reason clients and firm members seek her out. Jenn works closely with our clients to ensure that they receive compassionate, caring and helpful service throughout the daily process of coping with their family law matter. Her strong interpersonal skills and empathy for our clients make her an invaluable addition to our team. Jenn continues to partake in Continuing Legal Education courses and plans on becoming a member of the Institute of Law Clerks of Ontario. Jenn graduated from the three year Advanced Legal Administration program at Durham College and then worked as a legal assistant with a sole practitioner in Barrie. The following year she attended Ottawa University, completing the three year Bachelor of Social Sciences degree, majoring in Criminology, focusing largely on psychology. Jenn also studied music, learning to play the piano and flute, and is currently teaching herself acoustic guitar. She spent most of her childhood riding horses and developed a true love for all animals. In her spare time Jenn enjoys yoga and running. Some of her other interests include reading (particularly true crime), cooking and spending time outdoors.